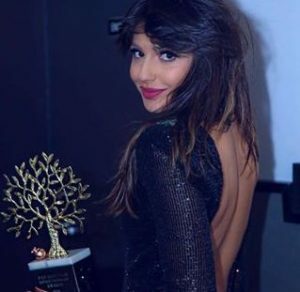 Sirusho has won a Pan Armenian Entertainment award for her beliefs and values. The award has been presented to her for her strong humanitarian beliefs and for the singer’s feelings towards the people of her native Armenia. A minor award was given to 2016 representative Iveta. At the recent Pan Armenian Entertainment Awards, Sirusho was presented with one of the top awards. She was given the Preacher of National Values award. This special award came as a result of her recent work celebrating Armenia. These awards were presented to celebrate those working in the Armenian Diaspora for their outstanding dedication to Armenia. Sirusho was chosen to represent Armenia in 2008. On the 8th March 2008, she was due to perform at a national final concert but a state of emergency was declared in the country. For this reason, they decided not to air the show. Under those circumstances, the Armenian state broadcaster decided to record a national final show instead. Qele Qele won with 86.5% of the vote. In the Eurovision Grand Final, Sirusho performed between Germany and Bosnia and Herzegovina. The total number of points for Qele Qele was 199 which gave her a 4th place. To date that is best Armenian result together with Aram Mp3 in 2014. In the video below, you can see Sirusho performing in 2008. The 2016 Armenian representative Iveta Mukuchyan won at the same show a minor award for Best International Representer. She came 7th in the final of the Eurovision Song Contest in Stockholm with the song LoveWave.